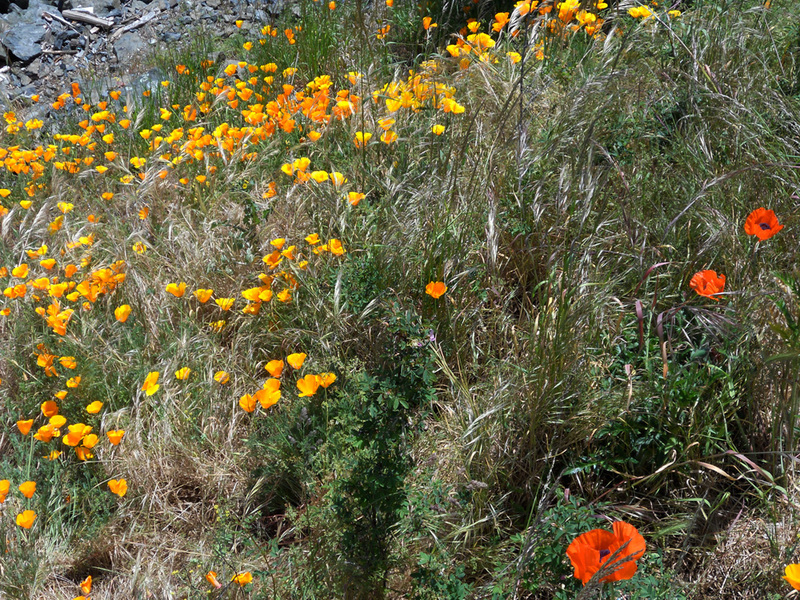 Poppies are everywhere right now, spreading their colourful joy to all! I especially love the California variety. 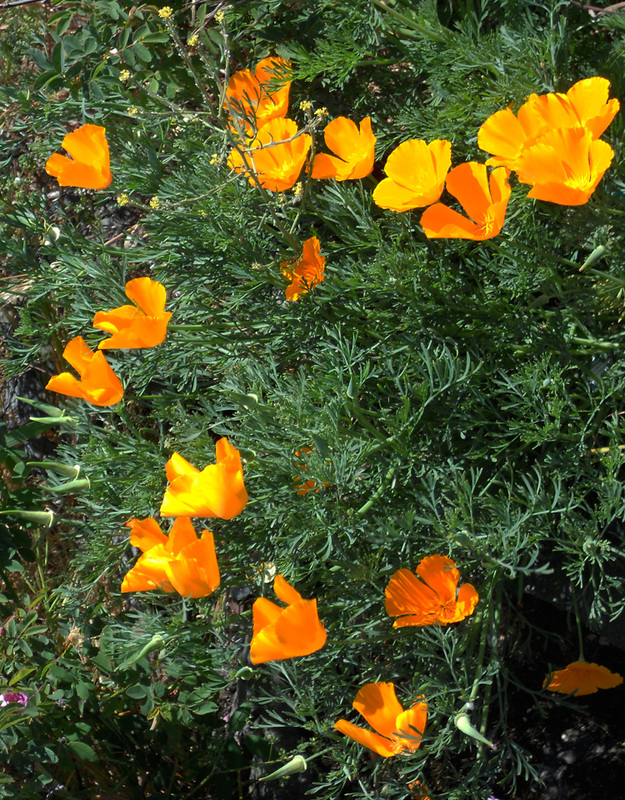 Technically California poppies are not poppies, they are in the nasturtium family. But I have a five-foot-tall p. somniferum that bloomed in my garden over the weekend – deep red petals and purply-black centre – Lianne took a picture but hasn’t sent me it yet. They are poppy-like and that’s good enough for me!